I’m going to have to go with the Orbit edition for this one. I love the art style and the way the monochromatic parts of the image make the orange of the sun really pop. I’ve really enjoyed Peter Clines’ books in the Threshold series so far (14 and The Fold) which was why I was excited when I found out that he would be releasing a third book as an audio exclusive with Audible. While all these stories appear to take place in the same world, any connections between them are immaterial to their individual plots so each one can be read as a standalone. As such, I wasn’t too surprised to discover that this new book, Dead Moon, would take place in the future on the moon, though I was a little taken aback by the very different tone, style, and overall quality. 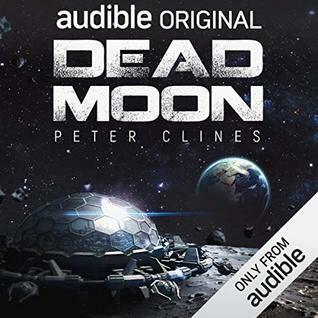 That’s not to say Dead Moon was a bad book, but it does feel less well put together compared to Clines’ previous Threshold novels, with a more slapdash plot and characters that aren’t as developed. The premise also comes across as less unique and more commercial, like something I might come across in a B movie on the Syfy channel—as in fun, but superficial. As you can probably figure out from the book’s description, this is a zombie story on the moon. The year is 2243 and overcrowding and environmental degradation on earth has forced humankind to figure out a new way to deal with their dead. The solution? Make the moon a graveyard, where Earth’s wealthiest citizens can launch the remains of their deceased loved ones to rest in peace for eternity looking down on us from the brightest object in the night sky. But such an enormous undertaking also requires a lot of manpower to maintain. Enter the Caretakers, men who women who live onsite in Luna City, the moon’s largest operations center, where they perform tasks such as grave digging and overseeing the cemeteries. It is lonely and isolated work, but it is also perfect for Cali Washington, who has signed on to become a Caretaker in order to start a new life and escape the troubles from her old one. Not long after she begins her position, however, a mysterious meteor crashes into onto the moon’s surface, affecting the grave sites in a terrifying way. Far away from any help and amidst dangerous dust storm conditions as well as impossible reports about the dead rising, Cali and her fellow Caretakers must band together and try to survive. Unlike 14 or The Fold, the overall premise of Dead Moon is relatively simple, and the book is what I would call a popcorn read, with a story and characters that present themselves accordingly. There’s also plenty of action, and while these scenes and the dialogue are pretty hammy, there’s no denying the entertainment value. This is a zombie book, after all, and it’s the kind where you know right away what you’re getting into. It will mostly play out the way you expect, though there are also a few twists and surprises thrown in that those who have read the previous Threshold books will probably appreciate more. In terms of characters, we have a diverse and interesting cast. But as with many of these pulpy space disaster stories, it wouldn’t really be advisable to get attached to any of them, since a bunch of them will not survive. Some were clearly written to be fodder for the zombies, so not surprisingly, character development is on the lighter side. Likewise, the plot has a “throwaway” quality to it, which is pretty typical with these typcs of fluffy reads. I get the feeling that Clines wasn’t overly concerned with any possible plot holes or explanations that don’t sense—like, come on, it’s moon zombies! It’s supposed to be over-the-top and a little silly, so I’ll give it a pass for being so outlandish. Like I said, these aren’t necessarily bad attributes, as long as you come into this with realistic expectations. In other words, Dead Moon isn’t a deep book by any means, but I had a good time with it, even though I don’t think its quality is in line with the previous Threshold books (especially with The Fold, which I thought was mind-blowingly clever and engaging). For the right person at the right time though, I can see it being very enjoyable. I will give that it is thrilling and great fun—a fantastic audiobook to check out to if you want an easy and fast listen. A solid 3-3.5 stars. Audiobook Comments: If nothing else, you should be picking up this audiobook for the awesome narration of Ray Porter. I’m a huge fan of his because his performances are always topnotch no matter what kind of material he’s given to work with. The guy brings an electrifying energy to any book because of his great voices and enthusiasm. 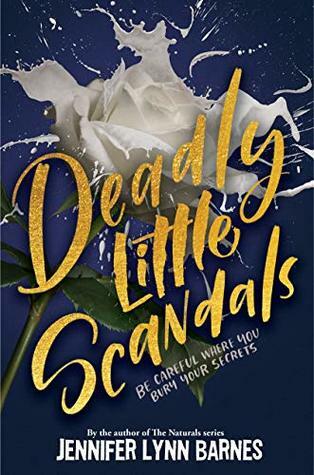 Not my usual genre, but last year I read my first book by Jennifer Lynn Barnes, Pretty Little Liars, and had so much fun with it. I’m so happy to see the synopsis of the sequel promises to be just as irresistible…and scandalous. “Think of the White Gloves like the Junior League-by way of Skull and Bones? Reluctant debutante Sawyer Taft joined Southern high society for one reason and one reason alone: to identify and locate her biological father. But the answers Sawyer found during her debutante year only left her with more questions and one potentially life-ruining secret. When her cousin Lily ropes her into pledging a mysterious, elite, and all-female secret society called the White Gloves, Sawyer soon discovers that someone in the group’s ranks may have the answers she’s looking for. Things are looking up… until Sawyer and the White Gloves make a disturbing discover near the family’s summer home–and uncover a twisted secret, decades in the making. I have two dogs, and they are family. And I would do anything for family. If someone were to make off with them, you can damn well be sure I’d go to the ends of the earth to get them back. Hence it is little wonder why I was immediately drawn to the premise of this book, which spoke to me as I’m sure it speaks to dog lovers everywhere. 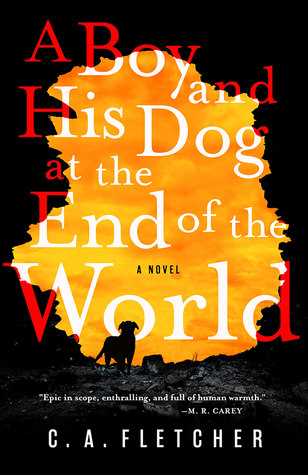 At its heart, A Boy and his Dog at the End of the World by C.A. Fletcher is a post-apocalyptic story of courage, determination and survival, with themes of friendship and unconditional love. Long after the Gelding, an event which caused sterility in most of the human population, the world has become a crumbling and empty wasteland. It’s an isolated life for our protagonist Griz, who lives with his parents, brother, sister, and dogs Jip and Jess on the coast where they are entirely self-sufficient because they have to be, for in just a few generations the number of people living on earth has decreased so drastically that you rarely meet anyone anymore. Which is why when a boat with red sails appears on the horizon one day, everyone is excited albeit a little wary. Visitors mean news from the outside world and potential for trade, but Griz still understands the need to be careful. He does not trust the stranger, Brand, when he arrives, despite—or perhaps because of—the big man’s powerful charisma. With his exotic goods and fascinating stories, Brand charms them all, but sadly Griz’s suspicions ultimately proved to be correct when he wakes up the next morning to find the boat with the red sails gone, along with Jess. Brand had stolen away in the early hours with the family’s food stores, some of their provisions, as well as Griz’s beloved terrier, and now our protagonist will do anything to get his best friend back. What follows is an adventure, one unlike any you’ve seen before. It is lonely and a little sad, yes, but there is also beauty in that quiet solitude. When Griz first realizes that he has lost Jess, there is a burst of confusion and panic, a wild and feverish moment where all the boy can think of is catching the thief and rescuing his dog. But after a while, that energy starts to fade, and in truth, this is where I think the novel truly starts to shine. Like Griz, you might not wish to slow down, but it is in these quieter, more subdued moments that readers are finally able to appreciate all the little things this story has to offer, and as the saying goes, you don’t know what you’ve got till it’s gone, a point which this book illustrates frighteningly well. For example, let’s start with the way this story is told. In a world where electricity is but a memory, the people in this new post-apocalyptic reality have learned ways to make their own entertainment. For Griz, his joy lay in books, from which he learned about the world before. The people who wrote them might be long gone, but their stories remain, inspiring Griz to write his own. He’s recounting his life to you personally, except “you” are actually boy from an old photograph he’s found. He imagines you in your past filled with airplanes and mobile phones, wondering what it must be like to fly or to have any information you might want to know at your fingertips. The result is a touching narrative with tragic and heart-wrenching undertones, especially since Griz’s voice comes across so personal and genuine. I was also surprised to find that while this entire novel is based around the protagonist’s journey to get his dog back, in fact the actual search for Jess encompasses only a small part of this saga. Most of this story is Griz’s, but later on we do get to meet at least one other important character who winds up changing our protagonist’s life, teaching him lessons in friendship and loyalty. Like I said, this is a lonely book, but the few people (and dogs) we get to meet in it have such huge and flavorful personalities that at no time did the story feel empty or small. That said, there were some pacing issues, with most of these hitches being in the middle sections given how much time Griz spends alone. But considering the limitations Fletcher had to work with, I think he did a great job pulling all the pieces of this story together. 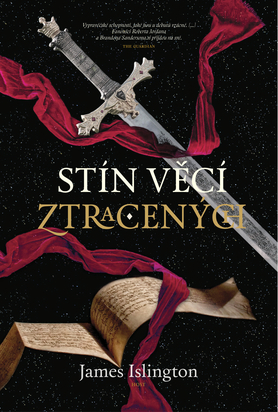 I also wish the ending had been better developed, given some of the bombshells revealed there, but because of the way this book is presented, as a kind of journal, we have a lot of restrictions on how information can be shared and explored. Again, I think the author did the best he could within the constraints. All in all, this book was a joy to read, full of wistfulness and melancholy but also plenty of hope, love, and simple pleasures. I thought I had read it all when it comes to post-apocalyptic and dystopian novels, but books like A Boy and his Dog at the End of the World prove there are still amazing stories to be told in this genre! I’ve been running around for the whole of last year telling anyone who would listen that Trail of Lightning by Rebecca Roanhorse is bar one the best thing to happen to urban fantasy in years. To say I was excited to read the sequel is an understatement. 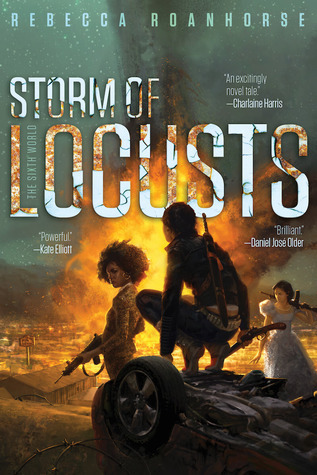 And now that I’ve read it, I am pleased to report that the highly-anticipated Storm of Locusts, like its predecessor, was just as fun and action-packed, while still managing to feel new and breath fresh life into the genre. Four weeks have passed since the events at Black Mesa that saw Maggie defeat a god and save Dinétah, but her actions have cost her greatly, including her friendship with Kai Arviso, the young medicine man with whom she had fallen in love. Back at home with a lightning sword she’s not quite sure how to use, Maggie tries to make the best out of her situation by once again taking on odd jobs. After all, following the Big Water, there’s always something monstrous that needs to be slain in the Sixth World. So when whispers of a Navajo legend called the White Locust reaches Maggie’s ears, she doesn’t think much of it at first, treating the investigation like any other as she heads out with a crew to look into the rumors. But what they find is much more troubling. Not only is the White Locust real, he has amassed himself a number of followers, creating a dangerous cult. And to his faithful, he grants them delicate diaphanous wings of metal that look disturbingly insectoid, just like his namesake. Worse, Maggie has suddenly become the reluctant guardian of Ben, a teenage girl possessed of a strange clan power, much like herself. Ben seems to look up to Maggie just as much as she seems to fear her, but she is also young and fiery with a thirst for vengeance. So when the twins Rissa and Clive Goodacre come calling with new information on the whereabouts of the White Locust, it is no surprise that the girl wants to tag along. Maggie doesn’t like the idea, but can’t deny that Ben’s power might be useful, for the news the Goodacre siblings bring isn’t good. It appears the cult leader had paid a visit to their home, taken their youngest brother Caleb with him, and that Kai might have been complicit in the abduction. Though Maggie doesn’t want to believe that the man she loves could have been involved, the evidence against him is damning. Determined to get down to the truth, she agrees to help the twins track down the White Locust and get Caleb back—and then perhaps she can also finally confront Kai and clear the air between them. In all the ways that matter, Storm of Locusts is the perfect sequel. All of our favorite characters are back, with a several new faces to join the fun. Once more, we are transported to a world steeped in Native American myths and culture, where indigenous characters and their lives are in the foreground of both the setting and the story. Speaking of which, the plot of Storm of Locusts was a blast, making for a quick read where the action never stopped, and the turns just kept on coming. Overall, the writing also felt tighter and more streamlined, so needless to say, the pages flew by in a frenzy. But Rebecca Roanhorse has not been content to simply retread old ground and rehash the previous book’s ideas. For one, I loved how the gates were literally flung open to the rest of the world in this sequel, with the story taking us beyond the magical walls of Dinétah to see how other survivors of the Big Water have managed to eke out a life in this post-apocalyptic landscape. Readers are treated to a road trip (by land, by water, and even by air) of sorts as we join Maggie on a journey that includes a treacherous route through human trafficking territory, a run-in with an implacable god who still has unfinished business with our protagonist, as well as the eventual confrontation with the mysterious foe known as the White Locust. But amidst all the danger, there are moments of peace and beauty too. Not all of the country had been destroyed when the world went to hell, and we also get to see how pockets of civilization have survived in areas surrounding calm picturesque lakes and the mighty concrete dams on the Colorado River that are still standing. Then there are the characters. Maggie is not the easiest protagonist to like, but she does grow on you after a while. In Storm of Locusts, she’s still as stubborn and combative as ever, but it’s also true that since Kai came along, her edges have softened a little. And now with the introduction of Ben, Maggie has opened up even more, to my delight. 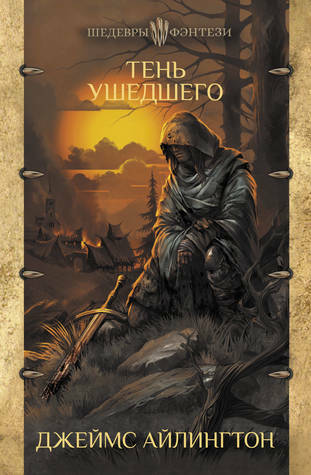 Because much like the first book, the plot of this novel is in fact very straightforward and uncomplicated, following a classic quest narrative. Ultimately, it’s the relationships that really drive the story, and in this area, the sequel has greatly outdone its predecessor. I suspect part of this is because romantic element is downplayed, allowing the story to focus on Maggie’s dynamics with Ben, Clive, and Rissa instead. These friendships have defined her personality and motivations in a way that her romance with Kai could not, and I’m glad we were given a chance to explore her character from this angle. Overall, I loved Storm of Locusts. It’s a sequel that took all the best parts of Trail of Lightning and made them even bigger and better, while also adding fresh ideas and new adventures for our protagonists. I’m thrilled with the direction of this series and hope the trend of improvement keeps up! Can’t wait for book three! These days, more and more YA authors are turning to popular and beloved stories to create their own worlds or to put their own spin on familiar ideas. In fact, it’s become so ubiquitous that it’s no surprise that a significant portion of my YA shelf is made up of retellings. With fairy tales and classic lit being the most common sources of inspiration, I’m at the point where yet another Beauty and the Beast or Shakespearean retelling would hardly make me bat an eye, though every once in a while something will cross my path that still manages to spark curiosity and makes me sit up a bit straighter. Sky Without Stars by Jessica Brody and Joanne Rendell was one of these books. When I first heard that it was modeled after Les Misérables, I was immediately intrigued. Leaving aside the fact it’s not every day you come across a Les Mis retelling, such an undertaking would also be incredibly ambitious and—as I would imagine—extremely difficult. But if the authors can pull it off? Well, then this could be a brilliant and awesome novel indeed. The first installment of a sci-fi series called System Divine, named after the far-flung star system in which this story takes place, Sky Without Stars introduces readers to a futuristic society divided in a class system reminiscent of the three estates hierarchy used in pre-Revolutionary France. Back in the time when the First World fell, the planet of Laterre meant hope for all survivors of the Last Days. Hundreds of years later, however, it has become a place where the rulers and nobility of the First and Second Estates reign supreme, while the Third Estate—the poor common class—are left to starve in the streets. We mainly follow three key protagonists who come from very different backgrounds, though their destinies will be forever entwined and changed by this story’s events. First, we have Chatine, a young thief whose only goal in life is to scrape together enough money to buy her way off Laterre and escape the cruel regime. Next, we have Marcellus, a promising young officer whose grandfather is also a powerful general of the Second Estate, or the class of enforcers who serve the planet’s rulers by keeping the masses of the Third Estate in line. And finally, we have Alouette, an acolyte of a secret order sworn to protect the written history of the planet, hidden in the last surviving library underground. The three of them are brought together when, in desperate need of more funds, Chatine is forced to take on an assignment to spy on Marcellus, doing it under the guise of her male alter ego, Théo. Because his father was a notorious traitor imprisoned for his crimes years ago, Marcellus is believed by his grandfather to be ripe for recruitment by the resistance group Vangarde, prompting the need for his surveillance. Meanwhile, curious about life on the surface, Alouette sneaks out from her underground refuge for a quick peek, only to become embroiled in world of chaos and rebellion as news of a brazen attack against the First Estate ripples across the whole of Laterre. 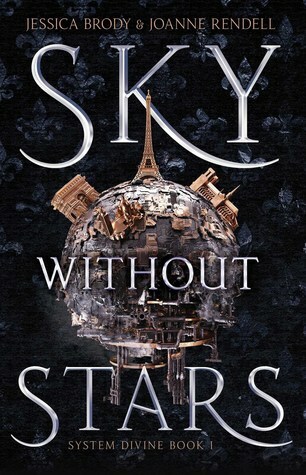 For a YA novel, Sky Without Stars is a massive clunker of a book, as I would expect any retelling of a Victory Hugo classic would be. 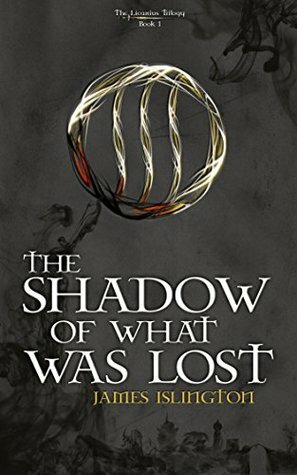 While I wouldn’t say each and every one of its nearly 600 pages were enthralling or hard to put down, for the most part I think the authors should be commended for doing a great job with the concept, especially given the restrictions they were working with and the fact that they injected a lot of their own ideas. This made for some truly fascinating world-building, the sci-fi setting with its advanced tech contrasting nicely with the historical events the story is based on—namely the events leading up to and surrounding the June Rebellion, the anti-monarchist uprising that inspired Les Misérables. Issues like the wealth disparity between classes and the overall poor living conditions of the Third Estate played well into the novel’s dystopian themes of injustice and revolution, and the world itself is strongly influenced by French culture and language. Despite the length of the novel, I also managed to get through it rather quickly, thanks to the rock-solid writing and smooth pacing. I do think that most of the book’s readability can be attributed to the use of multiple POVs, which were some of most balanced I have ever seen in that I didn’t think any of the characters were over or underrepresented. When you’re dealing with a huge tome like this, and an author collaboration to boot, so many things could have gone wrong with regards to character development, yet I felt Chatine, Marcellus, and Alouette’s roles were all equally well written and explored. This resulted in surprisingly few lulls in the narrative, because I genuinely found them all interesting to read about. 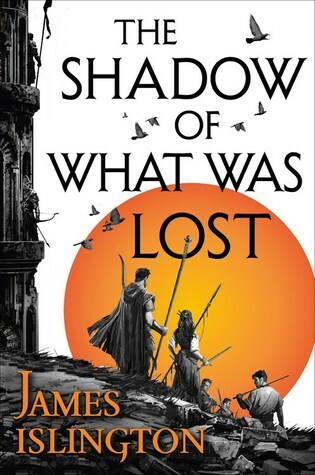 Needless to say, fans of retellings will eat this one right up, but I also wouldn’t hesitate to recommend this novel to readers of epic fantasy or anyone who enjoys a rich and textured sense of vastness to go with their stories of layered adventure and intrigue. Considering the many ways this Les Misérables retelling could have strayed from its intended course or blown up in all our faces, Sky Without Stars actually turned out to a surprisingly well-rounded and entertaining read. I will be sure to pick up the next volume. Lately, I’ve been trying a new routine of following up disappointing reads with a thriller. As a genre, I find that they typically make for good palate cleansers, and as an added bonus they are usually fast-paced and addictive, giving me that much needed boost after a “blah” read to prevent slumps. 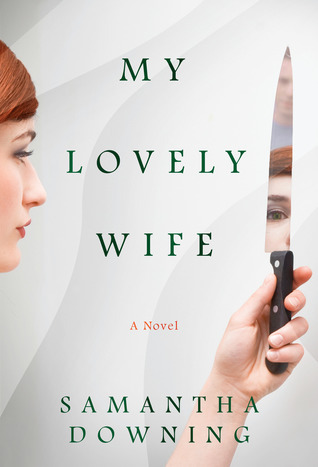 Which brings me to My Lovely Wife by Samantha Downing, which was exactly what I needed in my life. In fact, it did its job and more. When I first started this audiobook, all I’d hoped for was a standard psychological thriller. Honestly, I wasn’t expecting all that much, maybe something similar to the current crop of novels with a few variations on the same premise repeated over and over. Boy, was I surprised. 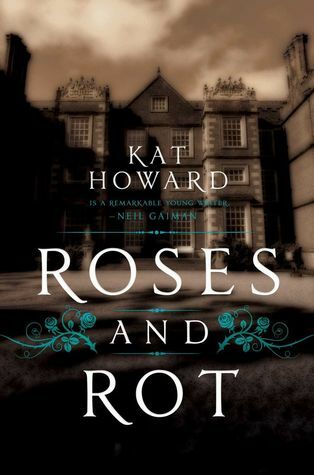 What I got instead was a completely brilliant, completely bonkers and clever psy-thriller of domestic suspense unlike any other I’ve read before. The official blurb described this one as “Dexter meets Mr. and Mrs. Smith” and I’ll let you decide how accurate that is. At the center of this story is a married couple, our unnamed protagonist and his wife Millicent, who have been married for fifteen years. Like many couples who have been together this long, they believe they’ve found the key to their marital bliss. But while some folks like to spice things up with surprise gifts or a naughty weekend, this husband-and-wife pair likes to put the spark back into their relationship by committing murder together. Yep, you heard that right, though with the exception of their homicidal tendencies, our protagonist would have you believe he and Millicent are just like any normal average couple. They live in a great house, with two wonderful kids. He teaches tennis at the posh country club, while she sells real estate in their affluent neighborhood. As with all families, they have their secrets hidden behind closed doors and decisions made in the past that have come back to haunt them, even if theirs are more twisted and depraved than most. More than this I’m reluctant to reveal, because as the saying goes, the less you know the better, and this absolutely applies to My Lovely Wife. The mindfuck starts right away as the first few chapters will have you second-thinking all your predictions as quickly as you make them. As I soon discovered though, pretty much every time I thought something felt clichéd, it managed to never turn out the way I thought it would. This story is told from the perspective of Millicent’s husband, who is under no illusions that he’s married to a complete psycho. But the best part about this book is that you can’t take anyone at face value. As deeply as you might sympathize with him or as much as he might endear himself to you, our protagonist is no saint himself, no matter how hard he tries to sell us on his “meek husband” persona. He gets off on the idea of murder just as much as his wife, and worse, he does nothing to rein in her even darker appetites. But the genius of this novel, and what Samantha Downing does so well, is giving the impression of the sheer normalcy of it all, even when you know in your heart just how messed up everything is. At the heart of this tale is a couple who is completely devoted to their family. On birthdays and anniversaries, they would go that extra mile to make the day special for their loved ones. During hard times, they scrimped and sacrificed to make ends meet. And as the kids grew older, there were the usual doctor’s appointments, soccer games, golf lessons. Millicent insists on only cooking organic. No cellphones or any electronics at the dinner table. The family will sit down to a movie night at least once a week. It’s all so domestic it almost makes you want to puke. But of course, there’s that whole serial killer couple thing. In large part, this book is driven by the mystery behind the nature of the protagonist and his wife’s relationship. We’re also trying to figure out Millicent, who’s an enigma even to her husband. Like all couples, they have secrets they keep from each other, but even knowing this did not prepare me for all the shocks and thrills thrown at us towards the end of the book. Good luck putting it down at this point. I know I couldn’t. All in all, My Lovely Wife was a fantastic read. 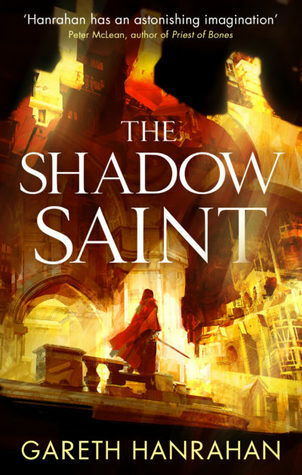 Believe me, if I thought I could get away with praising this amazing debut without giving away too much, I would have written a whole lot more extolling its insanely fun and addictive plot and phenomenally developed characters. So instead, I’ll keep it simple: if you’re looking for a binge-worthy psychological thriller that stands out among the rest, you need this book in your life. 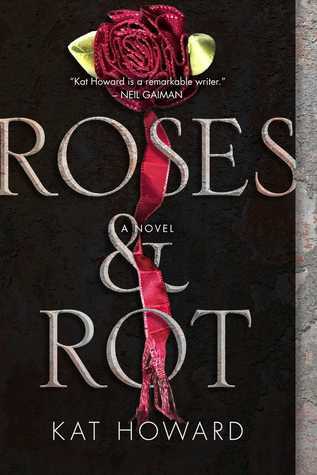 Roses and Rot follows the lives of two sisters, both of whom are talented artists in their own fields. Imogen is a writer, while her younger sibling Marin’s passion is in dance. The two of them grew up together suffering at the hands of their cruel and abusive mother, but it was awkward and introspective Imogen who bore the brunt of the mistreatment. This prompted Imogen to leave home as soon as she was able to, using the money she saved in secret to attend boarding school, even though her own escape meant having to leave Marin behind. Now nearly ten years later, the sisters are in their twenties and have seized upon an opportunity to reconnect. At Marin’s urging, Imogen applies with her to a prestigious post-graduate arts program at an institution called Melete, and both end up being accepted. The school is a dream come true, a quiet retreat in the scenic woods where fellows can dedicate their full attention to their art. Unfortunately, the peace doesn’t last. After a while, Imogen starts noticing strange things happening about on campus. 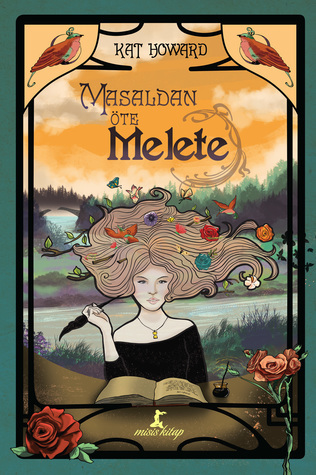 Nature behaves differently at Melete, with the paths through the woods seeming to wind and shift with a life of their own, and she can never shake that unsettling feeling of being watched. Turns out, there is more to the school than meets the eye. But how well do the novel’s covers reflect its mysterious vibes? This week’s covers feature a wide range of emotions, from melancholy and whimsy to horror and enchantment. 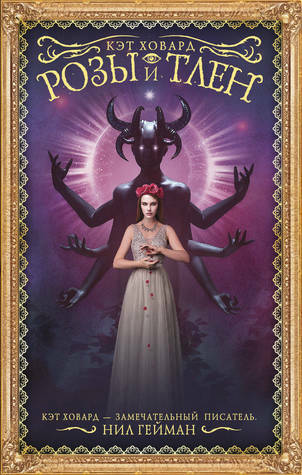 Since the wonders and beauty of this novel reminded me very much of a fairy tale, I would say any of these would be quite appropriate for its themes. For the winner though, I would have to go with the cover I own because I just love its atmosphere. 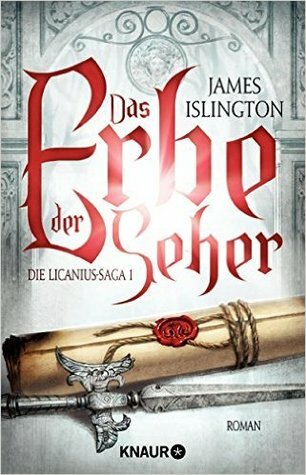 All in all, this another highly entertaining and satisfying trilogy from Mark Lawrence! 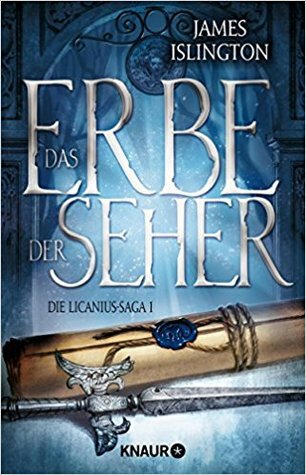 Again, if you’ve read The Broken Empire and/or The Red Queen’s War and you’re curious about The Book of the Ancestor, just keep in mind that it’s quite different. 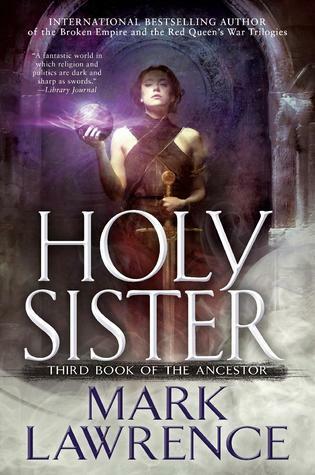 If you enjoyed Red Sister and Grey Sister though, I am sure will also love Holy Sister.